My history with the Lamy 2000 is long and sordid. I was fascinated by this pen like so many fountain pen users are, but once I got the 2000 in my hand that fascination turned into frustration. This is supposedly one of the greatest fountain pens of all time - why did I want to break it over my knee? As it turns out, the answer was simple. Getting to that answer, however, was a longer process than it would have been for someone more experienced with fountain pens than I was at the time. Hopefully I can shorten that cycle for anyone else considering purchasing a Lamy 2000. Despite the fact it has been well over a year since I first opened the box containing my Lamy 2000, I still remember my first reaction to picking it up: Holy amazeballs! 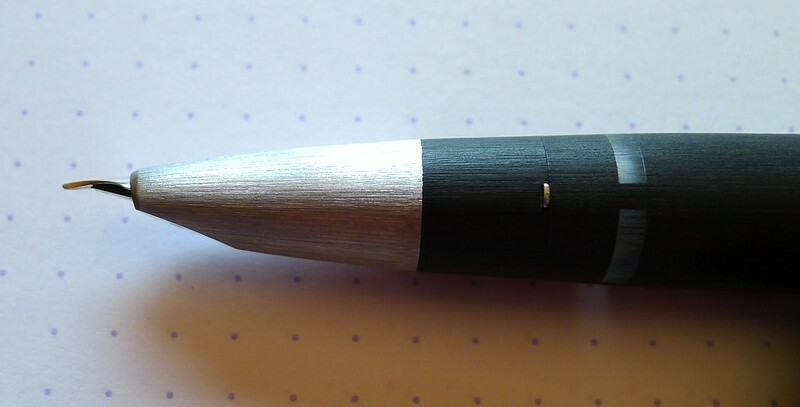 The only other pen in its price range that I owned and could compare it to was the Pilot Vanishing Point, and the 2000 was a completely different experience. 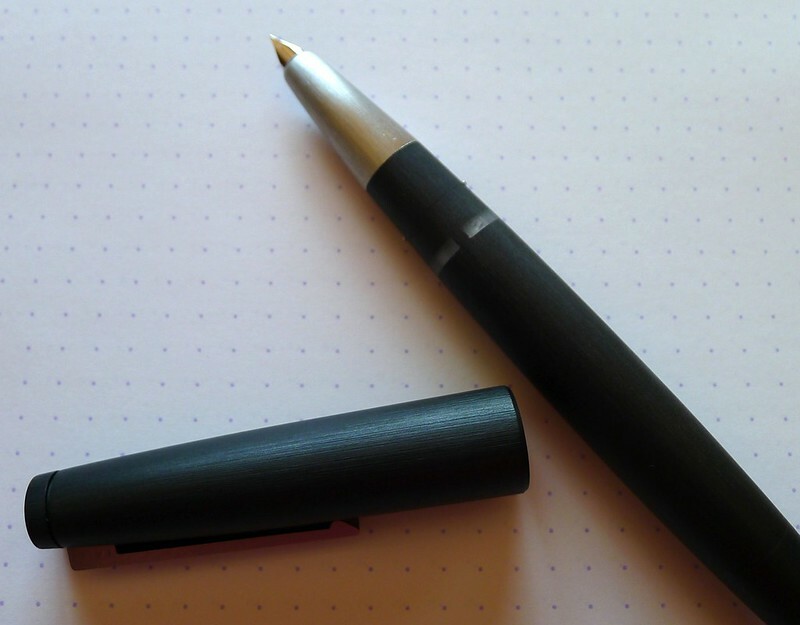 Since owning the Lamy 2000, the word Makrolon is now an official part of my vocabulary. Makrolon is the fiberglass-type material that the 2000 barrel is made of, and it is fantastic. It is lightweight, yet sturdy, warms to the touch, and feels great in the hand. Did I mention beautiful? That too, especially for someone who likes minimally styled pens like myself. The inking system for the 2000 is a piston filler and is integrated flawlessly. 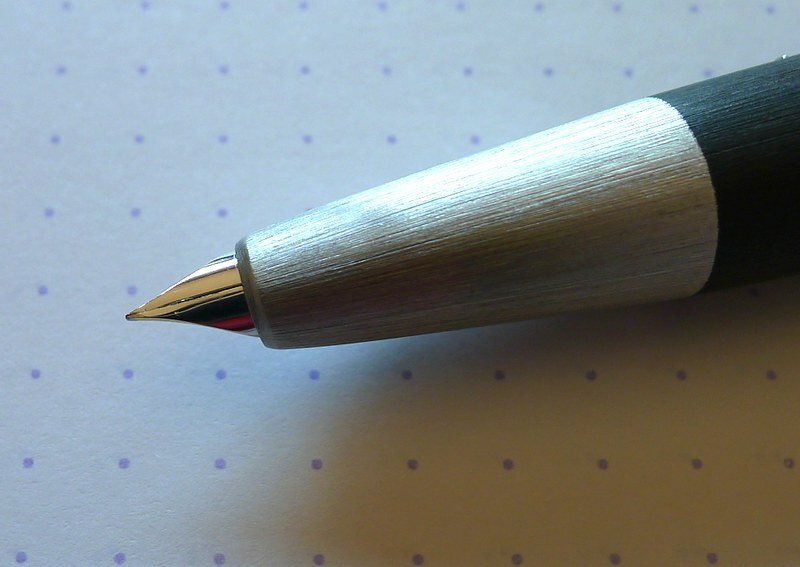 In fact, if you were unaware of the mechanism, you would be hard pressed to see the seam at the end of the pen. It moves smoothly when engaged and pulls in ink with ease. Where I ran into trouble with my 2000 was with the nib. It is a 14k gold hooded nib that is integrated perfectly into the barrel. As soon as I inked it up the first time I enjoyed how it wrote but noticed quickly that I was having trouble with some of my strokes. I felt the nib was sticking to the page, which caused skipping in the line. The thing was, it wasn't unusable. It was a very minor issue. I went through several cleanings and different inks to see if the writing performance would improve. It didn't, so off to the internet I went. After only a minute of searching I found a common theme: Lamy 2000 nibs are notoriously inconsistent out of the box. Unfortunately for me, I had found a bad one. The refrain I heard was to send it to a nibmeister to get it fixed. The issue at the time was I had never done that before, and was nervous about doing so. I put it off, my 2000 collected dust despite how badly I wanted to use it, and I pouted. I did formulate a plan though. The Atlanta Pen Show was going to be my savior. Getting my Lamy 2000 nib fixed at the pen show was the number one item on my list. I made an appointment with Mike Masuyama, and when I sat down with him and handed him the pen he noticed the problem immediately: the right tine was longer than the left. This is nothing I would have noticed on my own, so letting an expert handle it was the best route. Not only did he even the tines and smooth it, I had him grind it down to a Japanese EF size - around 0.2 mm. My Lamy 2000 is now usable! Not only is it usable, it is one of the best pens I own, if not the best. In the time since I bought my 2000 I have bought a dozen or more very nice fountain pens and it is a contender for the best of them all. 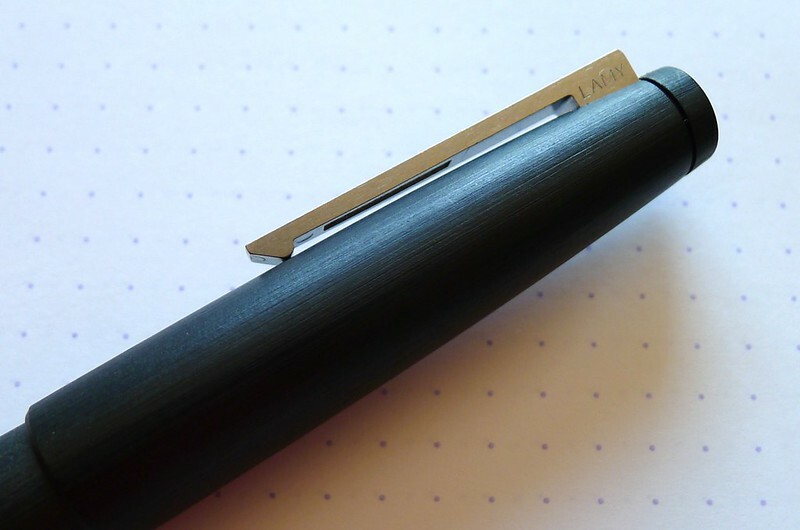 I get asked "Pilot Vanishing Point or Lamy 2000" often and now the answer is clear: Lamy 2000. What did I learn through this experience? Even though I spent a good amount of money on a pen and the expectation is it should be perfect out of the box, it often times isn't. This isn't just a Lamy 2000 issue by the way. It can happen to any pen, and spending $30 or so to have a professional look at it and smooth it is money well spent. I have sent many pens to Mr. Masuyama since, and each time they return better than before. 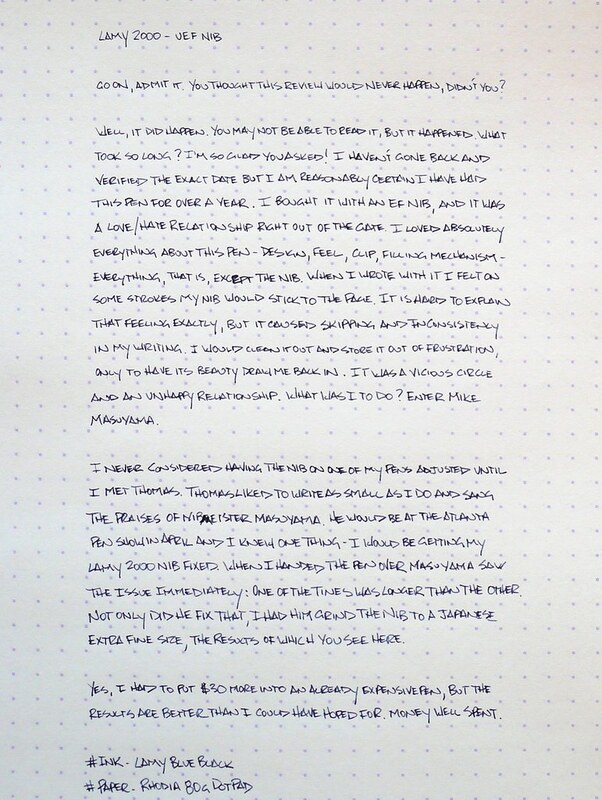 Posted on August 19, 2013 by Brad Dowdy and filed under Fountain Pens, Lamy, Pen Reviews.